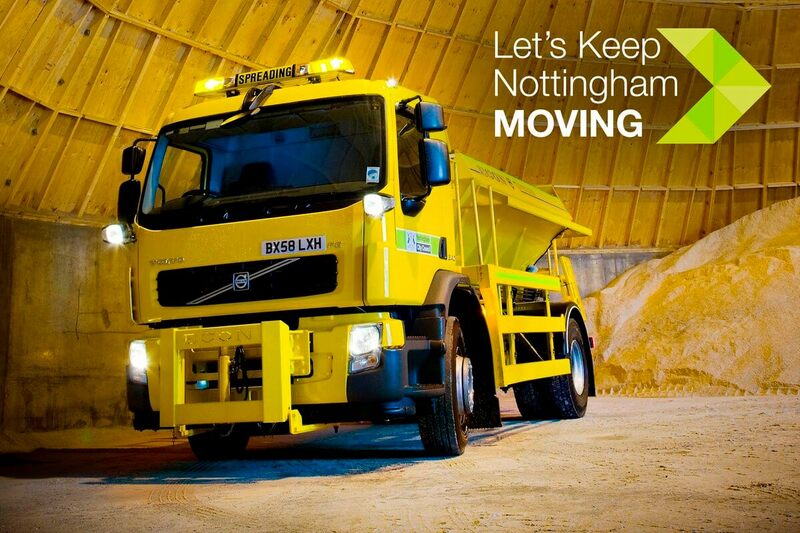 Our gritting season runs from October to April so we have to be ready for changes in the weather. It’s all about planning in advance, we stockpile 2,500 tonnes of grit in the dome at our depot which is normally enough to see us through the entire winter. If there are long periods of cold weather then we top this up over the winter months – but it’s important to be prepared from the start. There are over 200 grit bins dotted about the city, these can be used to grit areas where our gritter trucks don’t reach. Before winter kicks in we fill up the grit bins, with a mix of salt and sand so they’re ready when needed, and refill them when needed throughout the winter. Our team review the nightly forecast each lunchtime from October to April and assess whether or not our gritters are required. There are a few factors that go into this, not just the temperature but also cloud cover and if there’s a chance of rain or snow. We use data from our own weather station at Queens Drive Park & Ride to help determine whether we need to grit the roads and when. If it looks like it will be a cold night then we mobilise our staff. We normally bring in the on-call drivers to go out on a grit run after the evening rush hour before temperatures start to drop. 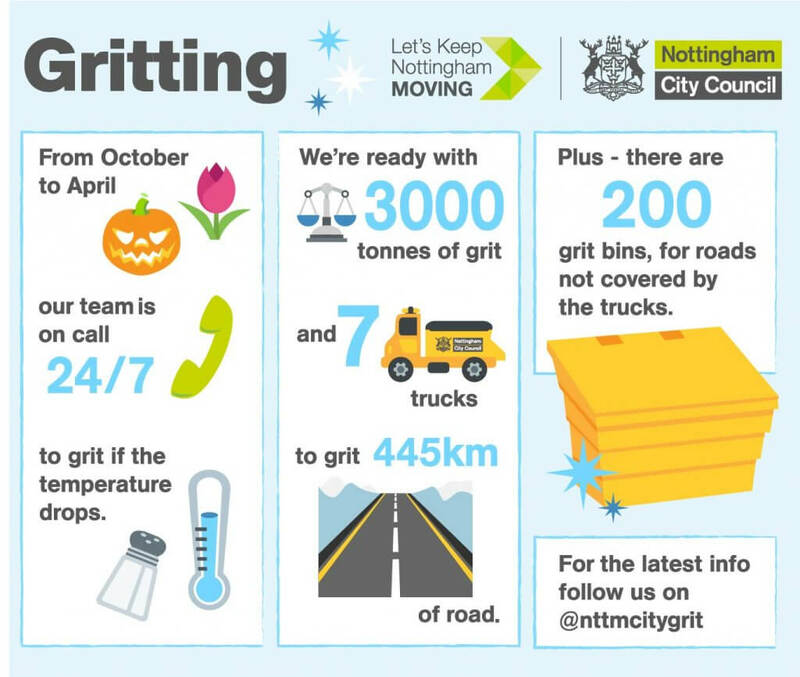 Our teams grit 445km of road on a wintery night, which is just over half the road length in Nottingham. It would be impossible to grit all 804km of road in one night, so we tackle the major roads, bus routes and roads around key services such as hospitals and schools. These roads tend to be the ones that will make up most of an individual journey. You can see which roads we grit here. Meanwhile our staff in the office continue to watch the forecast as conditions can change. For example, if it rains after we’ve gritted – the salt will be washed away and a second run may be required so our drivers will go out again to make sure the roads stay safe. The salt in the grit mixes with the moisture on the road surface and creates a saline solution which has a lower freezing point than water – so frost and ice won’t form. If you want to learn more about how this works you can do so here. Grit doesn’t work very well if spread on top of snow. If snow is forecast we spread grit in advance so when the first flakes start to fall they will mix with the salt and form a saline solution which can reduce the build up of snow, as vehicles drive over it they help churn up the mixture which leads to safer driving conditions. However, during periods of heavy snowfall the snow can build up more quickly than the salt can mix with it. Whenever there are difficult road conditions, driver behaviour is very important. Take extra care and leave additional space for stopping distances. Be conscious that with snow, rain and dark nights reduced visibility is also a factor so be prepared for unexpected stops. If there’s been a spell of bad weather we use the gritters to help support other council services, such as accompanying bin collection lorries on their rounds to keep routes clear. 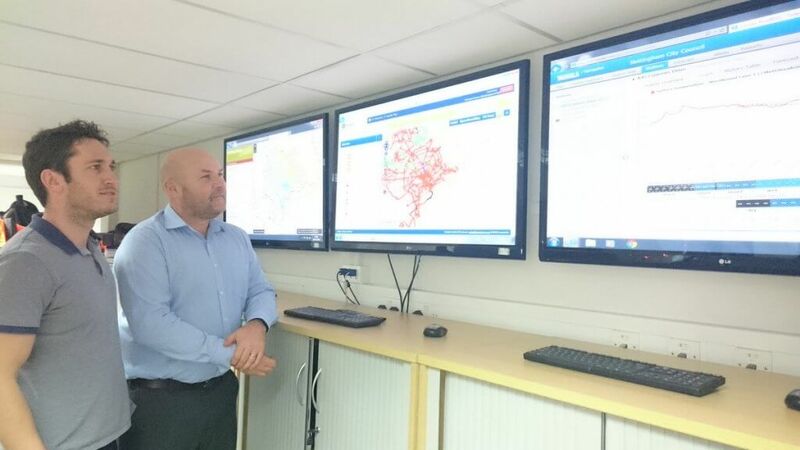 Collaboration is really important, we’re in regular contact with the emergency services, large employers and the bus companies who let us know if there are areas that might need additional gritting attention. 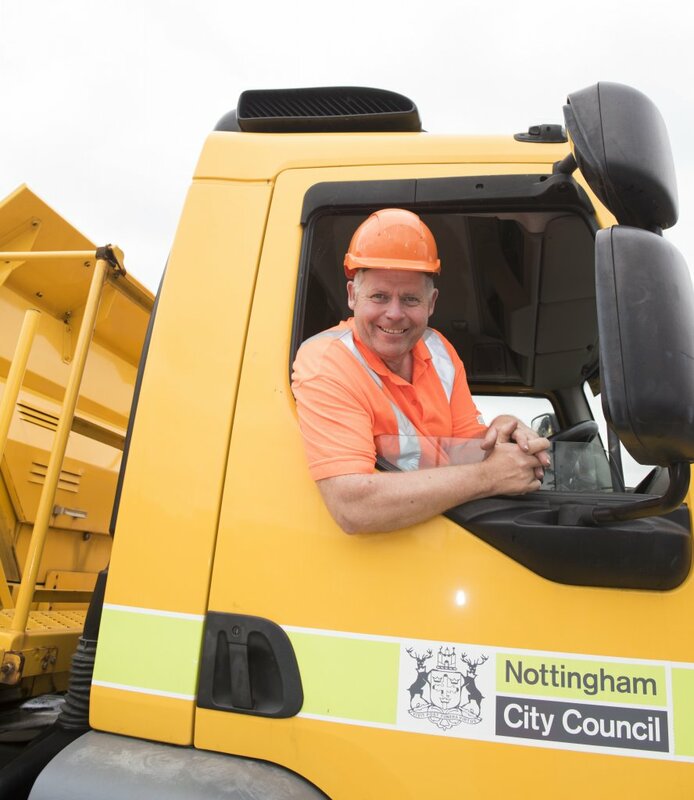 It’s important that we can keep roads clear so that people can continue to travel safely around Nottingham.